Every hospital makes mistakes. With as many patients that come through our doors and with as many varied points of contact, it‘s inevitable there will be unhappy customers. Plus, many customers are not in the best frame of mind to begin with, which means they are often easily agitated. No matter how much customer service is stressed, there will be screw-ups. There will be disgruntled customers. Instead of looking at such occurrences as a disaster, it can become a positive branding experience if handled properly. Instead of an upset customer who becomes a noisy distracter, the goal is to convert him into a brand loyalist who sings the hospital’s praises. The unhappy customer should not be viewed as the enemy but as an opportunity to characterize the brand as responsive and caring. 1. Apologize. 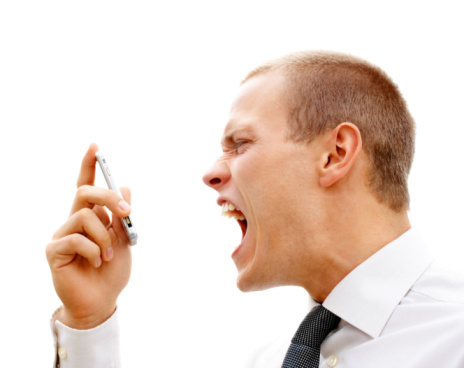 Disarm the angry customer by apologizing upfront. 2. Listen and empathize. Listen and don’t try to defend the hospital. Let the customer know your hospital cares. 3. Address the problem. Try to fix the problem and satisfy the customer as much as possible. 4. Offer to correct the problem. The customer wants to know the hospital will do everything possible to prevent the problem from happening again. 5. Follow up. Contact the customer and let them know what has been done to fix the problem. This is essential for customer satisfaction. Research indicates it costs five times more to get a new customer than it does to keep an existing one. So it’s important to keep customers, even the ones that have bad experiences. Solving customer problems not only keeps customers, it also helps build brand loyalty.